Microsoft PowerPoint 2016 can be a capable tool to create interesting image effects if you know how to combine its features. For instance, in this post, we’ll show you how to give a cool paintbrush effect to any image. First, use a paintbrush font or download a free paintbrush font to your PC. Then, convert the chosen font to a shape and use it to hide and reveal part of a photo. Download a free paintbrush-styled font and install it. For this tutorial, I am using a font called Rush Brush. Open a blank slide and type a capital I (or any other letter if you want). Increase the font size. Go to Insert > Illustrations > Shape. To turn the font into a shape, draw any shape (e.g. a rectangle) that covers the letter. Also, go to Drawing Tools > Format > Shape Outline > No Outline. Select the shape and the letter. Go to Drawing Tools > Format tab > Insert Shapes group > Tap the Merge Shapes dropdown > Select Intersect. The font and the shape intersect to form a new shape. This will be the building block for your paintbrush effect design as you can now tweak it around like any other shape. For instance: increase its size or rotate it around. Now, you can group multiple shapes and add a picture or color behind them to create slides with visual impact. The above photo used a picture hidden behind the paintbrush shape. Duplicate the paintbrush shape to assemble them into a pattern. Press Ctrl+A to select all and then go to Format > Merge Shapes > Union and group them as one combined shape. To create a mask that will overlap the photo, insert a rectangle. Choose Shape Outline > No Outline. Then, right-click on the rectangle and select Send to Back > Send Backward from the menu. Now, subtract the font shape from the rectangle to create the transparent hole. Select the rectangle shape first and then the font shape. Go to Format > Merge Shapes > Subtract. Choose a color for the rectangle shape that matches the slide color. For instance, white. Insert a picture on the slide. Again, select Send to Back > Send Backward. Now, the rectangle shape acts as the mask for the picture except the subtracted area which works like a frame. You can drag the picture to re-position area you want to frame. Microsoft PowerPoint can help you do a lot of things. It’s not to difficult to get to learn Microsoft PowerPoint The Ultimate Beginner’s Guide to Microsoft PowerPoint: From Newbie to Master The Ultimate Beginner’s Guide to Microsoft PowerPoint: From Newbie to Master You will need to give a presentation one day. 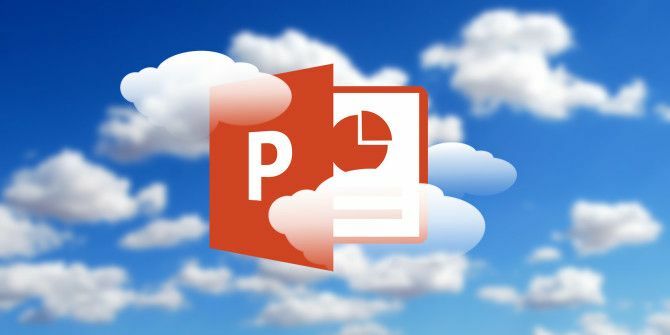 This beginner’s guide to Microsoft PowerPoint should give you a great start to a wonderful slideshow. Read More even when you are a beginner! Explore more about: Microsoft Office 2016, Microsoft PowerPoint, Presentations.